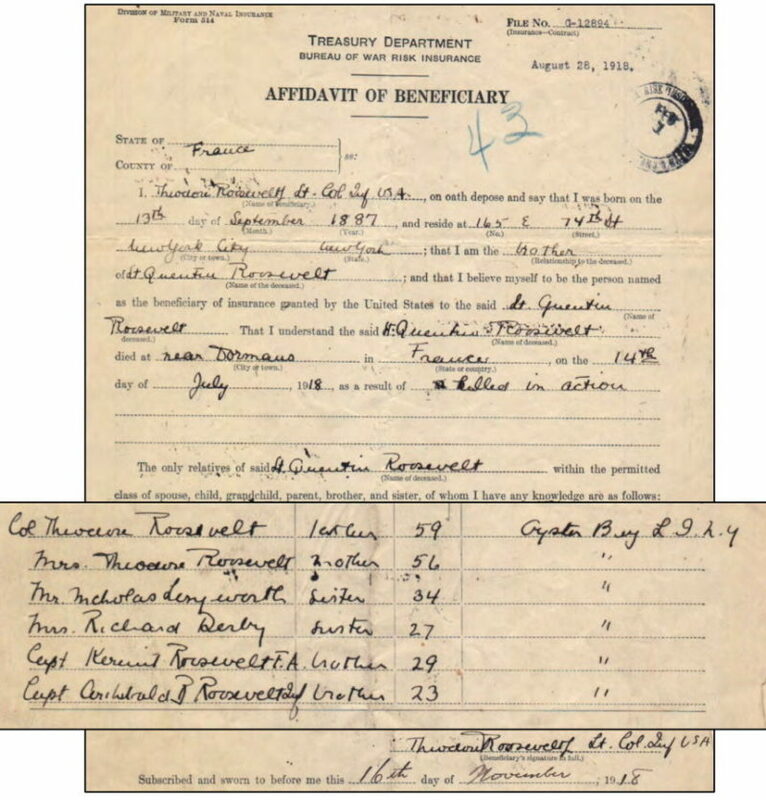 Today’s topic is newly released U.S. Veterans’ Claim Files, 1917-1948, a group of records now available from the National Archives and Records Administration (NARA). Veterans have been receiving benefits since the Continental Congress authorized pensions for disabled soldiers during the Revolutionary War. By the World War I era, all veterans (not only the disabled) were eligible for a variety of benefits. These benefits include pensions for themselves or widows; insurance; bonuses; burial allowances; and payments to dependents. In 1921, Congress created the Veterans Bureau to consolidate some of these benefit programs. In 1930, President Herbert Hoover combined them further with a merger of the Veterans Bureau, Bureau of Pensions, and the Home for Disabled Volunteer Soldiers into the single Veterans Administration (VA). The current Department of Veterans Affairs houses claim files in Federal Records Centers (FRCs) throughout the United States. While these records are not open to the public, the transfers accessioned by St. Louis—cases “retired” to FRCs in 1952 and 1955—are now National Archives property and therefore open to all. Claim files are organized numerically by file number. When a veteran died, the file’s “C” number became an “XC” number. These records are not online. Researchers who are searching for XC files belonging to Civil War veterans should first contact the National Archives in Washington, DC. Those searching for veterans who served after the Civil War through World War I should first contact the National Archives at St. Louis.